How Much Does it Cost to Prepare a Quit Claim Deed? I've Lost My House Deed, How Do I Get a New Copy? A quitclaim deed lets you gift or sell your property to another person quickly and easily because it transfers legal ownership without making guarantees about the title. Costs vary depending on whether you prepare the quitclaim deed yourself or hire a professional, such as an attorney or title company to do it for you. 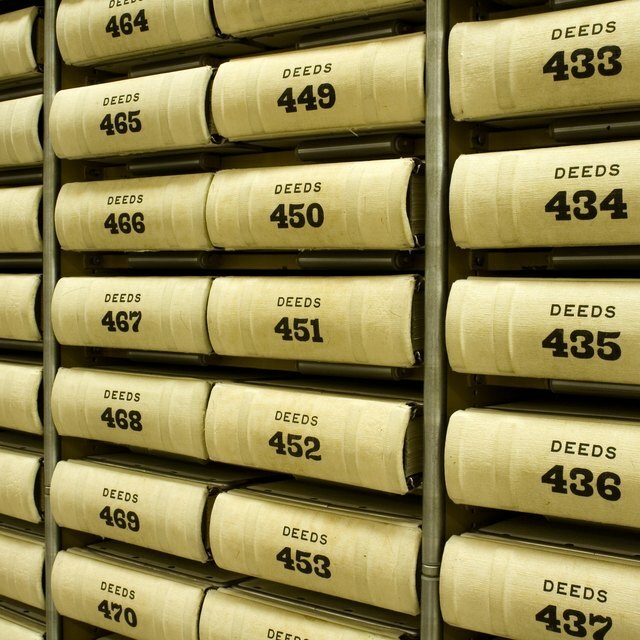 Quitclaim deeds contain no warranties of title. The owner does not promise that there are no claims against his title to the property. For this reason, quitclaims are typically used to transfer property within a family. Parents may transfer the family home to their children or a homeowner may add his new spouse to the title. In this scenario, you may choose to prepare a quitclaim deed yourself at little cost. A quitclaim might also be used to clear a title problem or remove a name from title. These changes are often part of a larger transaction, such as a sale or divorce. An attorney or title company participating in the transaction can prepare the quitclaim deed. A quitclaim deed looks deceptively simple, but because it transfers a major asset, such as your home or land, you may face serious legal consequences if it's completed incorrectly. Seek professional legal advice if you're unsure how to proceed. A lawyer either charges a flat fee or an hourly fee to prepare a quitclaim deed. Rates vary by state and law office but typically fall in the range of $200 to $400 per hour. Title companies routinely prepare quitclaim deeds in many states. Fees for title companies vary, but a market scan shows an average of $100 to $200 for a simple quitclaim deed. There’s no one-size-fits-all pricing mechanism, so shop lawyers and title companies for the best rate. If you have the right information, you may consider preparing the quitclaim deed yourself. You need a copy of your deed and the legal description of the property. The county recorder’s office has this information if you cannot find it. Next, purchase a blank quitclaim form. You can find quitclaim deed templates online, sometimes free of charge, but make sure you are using an up-to-date form that is adequate for your transfer. Business stationery stores or county clerk's offices may sell state-specific quitclaim forms for a small fee. While states vary in their signing requirement, a quitclaim deed usually is not enforceable unless you sign it before a notary public. Depending where you are, notaries charge between $2 and $20 per signature, but mortgage closings and real estate transactions will cost you more. After getting the quitclaim notarized, you must record the deed with the county records office and pay a small recording fee, which varies by county. There is also a transfer tax known as a deed stamp. Many states charge transfer tax as a percentage of the purchase price specified in the deed. You pay this deed stamp to the county recorder.